The ferry Spirit of Tasmania II was caught by heavy storm and hit by giant weaves during the voyage from from Melbourne to Devonport in Bass Strait. The vessel was caught by hard swell, which made the journey for many of the passengers a real nightmare. The ferry passed without serious hull damages, but a lot of cars, trailers and trucks were damages and smashed into the cars area. 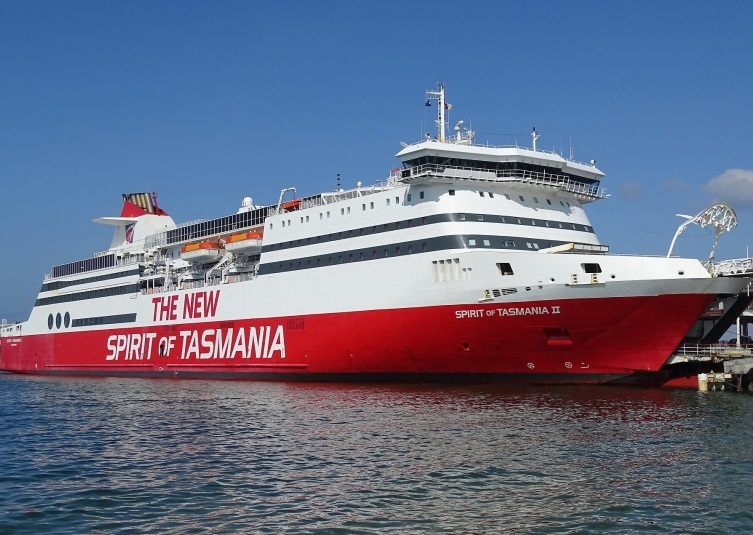 Fortunately none of the passengers on board of Spirit of Tasmania II were injured and the ship docked into Devonport safely, but with small delay. 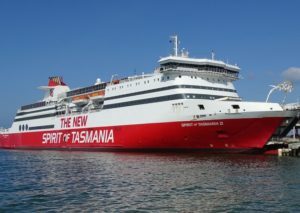 “Both Spirit of Tasmania vessels were delayed into Melbourne and Devonport because of rough weather and high winds”, said the company operator spokeswoman. Spirit of Tasmania I was delayed into Melbourne by one hour and Spirit of Tasmania II was delayed by two hours into Devonport. Some cargo and passenger vehicles shifted on the overnight crossing from Melbourne to Devonport. Damage to vehicles is still being determined and the company is dealing directly with affected parties. No damage to the vessel was recorded”, added she. On Monday night, only hours after the Bureau of Meteorology issued a warning for 100 km/h winds across much of Victoria and Tasmania, the ship left Melbourne for its scheduled trip across Bass Strait, considering that vessel can pass through the storm. Unfortunately the crew did not assessed the weather environment accurately, which caused the damages. The ferry Spirit of Tasmania II (IMO: 9158434) has overall length of 195.00 m, moulded beam of 26.00 m and maximum draft of 6.50 m. The deadweight of the vessel is 5,143 DWT and the gross tonnage is 29,338 GRT. The sh was built in 1998 by STX Turku shipyard in Finland. The owner and operator of the ferry is Australian operator TT Line.